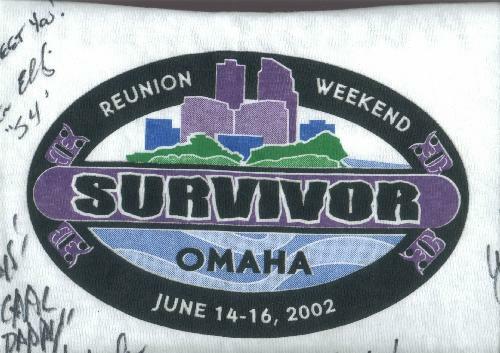 June 14-16, 2002 - The cast of Survivor 4: Marquesas held a reunion in Omaha, Nebraska, as a benefit for the Nebraska AIDS Project. John Carroll - who is from Omaha - organized the event to coincide with his 37th birthday, which was June 14. Unfortunately, not all of the Survivors were able to make it, but I was pretty happy to get as many as I did!